“What’s in a name?” Juliet lamented over her love Romeo, staring into the night. Further on in the tragedy, in act IV of Romeo and Juliet, Juliet drank belladonna to give her the appearance of death, with still breath and stiff joints. Belladonna, a poisonous herb goes by many names: deadly nightshade, sorcerer’s berries, murderer’s berries, death cherries, devil’s berries. For centuries, belladonna has had many uses. Dyring that time, belladonna was employed for sinister purposes, as a means to swiftly poison someone. While others preferred to use it on themselves as a way to quickly commit suicide. However, it was during the Renaissance that belladonna received its name, meaning “beautiful woman” in Italian. During this time, ladies used belladonna drops for cosmetic uses, to enlarge the size of their pupils, which they thought to be a sign of beauty. Belladonna is a perennial herb that grows as a shrub. This shrub produces soft purple bell-shaped flowers as well as green berries, which turn an inky black hue once ripe. Belladonna can be found growing in the damp, shady regions of North America, Europe, and Asia. Despite the alluring appearance of the flowers and berries, the plant is quite dangerous, containing the toxins hyoscyamine, atropine, and scopolamine. When ingested, these toxic compounds cause hallucinations and delirium, and even death. When encountered in nature, it’s best to avoid the shrub all together, as even brushing up against the leaves can be irritating to the skin. Despite these harmful and toxic effects of the berries and flowers of the herb, chances are, you’ve actually used belladonna. When used in a controlled setting and under the care of a physician, belladonna has many applications. In fact, when you go to the optometrist and your pupils are dilated, belladonna is an active ingredient in the eye drops used. In the wild, belladonna should be avoided. If prescribed by your physician, however, and used exactly as directed, belladonna should be safe. Although considered toxic, the two chemical compounds derived from belladonna, atropine and scopolamine are commonly used in medicine. From dilating pupils to regulating heart rate, belladonna and its compounds can be used in conjunction with other medicines to treat a variety of conditions and illnesses. Despite these claims, there is no scientific evidence supporting them. If you’re curious about using belladonna to treat any of these illnesses or conditions, consult your physician. Your physician will discuss with you the safest and most effective treatment options. When using these supplements, always follow the exact instructions on the label and consult your physician before using. There is currently no scientific evidence determining safe dosage for belladonna. Belladonna contains toxic compounds that are considered unsafe when taken orally. To use belladonna in the safest manner possible, take only under the guidance of a physician. Belladonna is not considered safe for some people, may interact with certain medications, and may make some conditions worse. Belladonna is not considered safe for the use of women who are pregnant or breastfeeding. 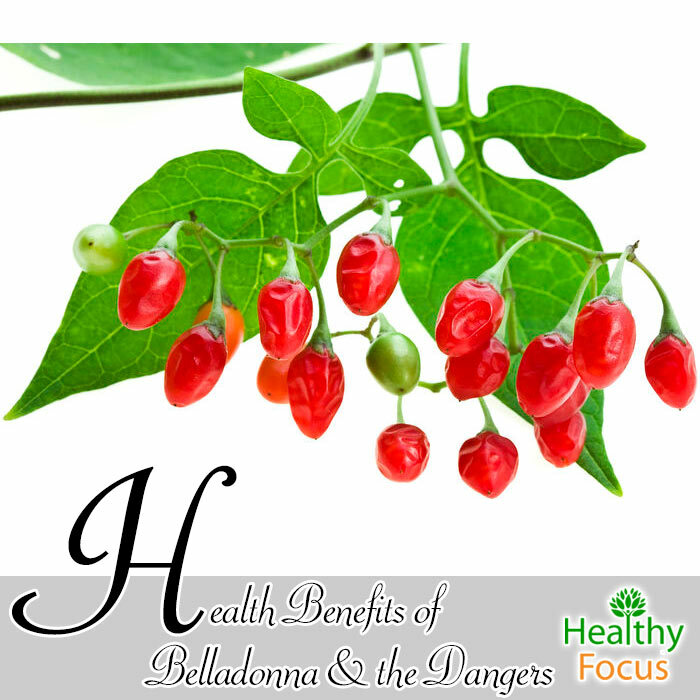 Belladonna contains toxic substances that may cause dangerous side effects to pregnant women. These toxic substances can also be passed along to the baby via break milk. Belladonna has also been found to decrease the production of breast milk. Those suffering from Downs Syndrome are extra sensitive to the toxins found in belladonna and should therefore avoid it at all costs. People suffering from high blood pressure should avoid belladonna, as it can make the condition worse. Belladonna has been known to increase rapid heartbeat. Those suffering from Congestive Heart Failure should avoid this herb, as it can worsen the condition. Those suffering from GI tract infections should avoid taking belladonna. Belladonna slows the emptying of the GI tract, and therefore traps viruses and bacteria, which can lead to an infection. Those suffering from ulcerative colitis should taking avoid belladonna because induce complications with the disorder. Belladonna may make urinating difficult and can lead to urine retention. Those suffering from GI blockages should avoid taking belladonna because it may make the condition worse. Those suffering from esophageal reflux should avoid taking belladonna because it may make the condition worse. Those suffering from constipation should avoid taking belladonna because it may make the condition worse. Those suffering from narrow-angle glaucoma should avoid taking belladonna because it may make the condition worse. Belladonna interacts with drying medications or drugs labeled anticholinergic. Belladonna itself has a drying affect and can therefore increase such side effects in these medications, such as dizziness, increased heartbeat, low blood pressure, and dry skin.